You are here: Home > Sprint Executives Leave Clearwire Board, Possible T-Mobile Relationship Responsible? Sprint Executives Leave Clearwire Board, Possible T-Mobile Relationship Responsible? At first I was going to let this report go because if taken at face value, it sounds like a Sprint story with no T-Mobile relation. However, I had a conversation last night with a fellow blogger who all but insisted that there is more to this than I was allowing myself to see. He believes, and I can say with certainty he isn’t the only one, that this “resignation” of three Sprint executives from the Clearwire board has a lot more to do with T-Mobile than I was allowing for. There is a belief that this is directly related to Clear’s desire to seek additional funding, likely from T-Mobile and their willingness to accept that funding even with Sprint remaining their biggest shareholder. Clearwire and Sprint both said the resignations were due to “changes in antitrust law” which sounds suspiciously like we had a disagreement so we’re resigning. We might be reading far more into this than we should which goes back to my original hesitation to post in the first place. Then again, we might be seeing the first in a line of a series of events that culminates in a T-Mobile and Clearwire partnership. I guess it kind of makes sense… we’ll have to see. I don’t understand what the significance is. How would this partnership affect me? and what’s clearwire? Do I get a better signal or something? In the short term it will not affect you at all. In the long term, Clearwire has the spectrum that T-Mobile badly needs to roll out a LTE 4G network. I don’t know how it will affect us. Clear is testing two forms of LTE in Phoenix right now. Presumably, T-Mobile would be Clear’s LTE launch partner on that. is clear better than hsdpa+ ??? No, because Clear uses WiMax, which is a different standard which requires different hardware in your phone. For those of us who still have devices that have HSDPA and not HSPA+ devices, we benefit from the increased data rates from T-Mobile’s HSPA+ deployment without having to purchase new phones. Now, we won’t be able to utilize the full capabilities of up to the 21mbps since that’s theoretical and the first HSPA+ device (G2) only supports up to theoretical data rate of 14.4mbps. Clearwire has stated that they could switch their WiMax network to LTE or run a LTE network beside the existing WiMax one. The only reason for Clearwire to state that they could switch to LTE is to position themselves favorably to a new potential partner. The only logical partnership out of the big 4 carriers is TMobile. Verizon and ATT already have spectrum and money for their LTE network roll outs and Sprint already is the majority shareholder of Clearwire. Plus, the DOJ would likely block any Verizon or ATT merger / partnership. Clearwire has been positioning itself for a switch to LTE along with a TMobile partnership for months. The only way a TMobile partnership makes sense is on a LTE network. i have clear now but have nothing to compare with hsdpa+. g2 is the only compatible phone right now if im correct in my thinking…. the more bandwidth in the air, the more happy smartphone customers. 2 ways of getting it, buy it or build it. why build if it’s going to be outdated before the amortization cycle pays out? clearwire also has facilities in europe and the last time i checked t-mo was international. look for more partnerships until the future technology is all thrashed out. the only places CDMA is big are USA and japan. the rest of the world is GSM. look at the grief att had a few years back switching from TDMA to GSM. look at the grief sprint has now with integrating nextel. let the corporate geniuses do what they do, if they screw up they ‘find other interests’. t-mo USA has a new ceo and a new marketing head. they have to make their bones quickly and we’re the guys who make them or break them. we start the buzz right here that motivates them. look at the buzz differential between the G-2 and the garminphone. you forgot Korea for CDMA. anyway it is about the spectrum space. Clearwire is considering LTE. I will add that Clear owns a tremendous amount of spectrum. In the mobile world spectrum is worth more than gold! I just want to know when the Desire HD and/or iPhone are coming to Magenta. If this helps with that, then more power to them! I don’t think we’ll see either device with Magenta for a while, if at all. And if the Iphone don’t come to Tmo (USA) , just pick one up from Videotron in Canada. It will have the 3G specs needed to use on Tmo here in the USA. Buy it with no contract, get web2go internet, change APN/MMS settings to internet2.voicestream.com and your rockin 3G internet for only $9.99/month. I do this setup right now with my HD2 and it’s great not having to pay the $30.00/month data plan that’s not any better than the web2go data and i get all the 3G speeds and full internet service. That’s T-Mobile CS telling people you can’t use it, but you can. You don’t need a special data plan for it to work. Just set the APN settings differently and it works perfect. Also, you must not be under any contract with the phone. That way you have the option as to which internet plan you choose to use. All phones have the APN settings, as long as web2go is available and your not under contract you can do it. Works for me and i have no issues and get 3G too. Interesting! Didn’t see Iphone on their site (not that I’d want one). Would that work with a Nexus One from them? Not sure since it’s a android phone. @Jrsykind,the iphone on Videotron will be available soon,the last i heard was November release. I been saying for a while, this won’t be shocking if it happens. This crap happens all the time in the business world, companies merge, and change all the time. We will just have to sit back and wait it all out. I am all for TMO to become better faster stronger. Just look at the map. 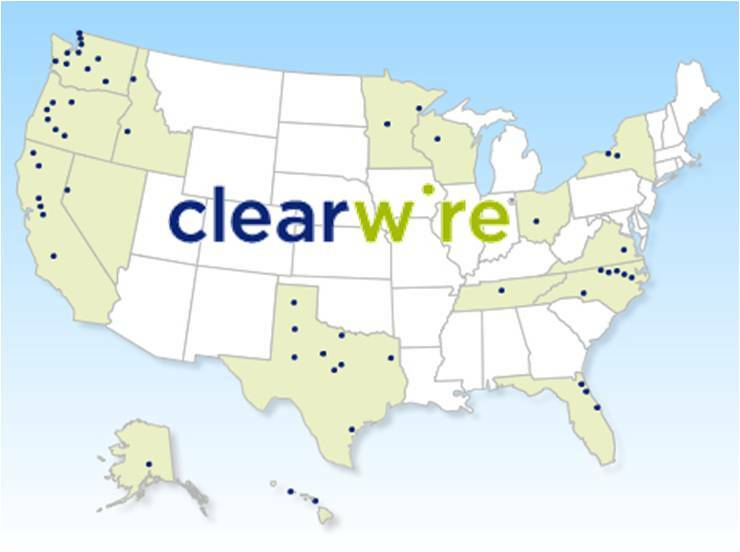 Where ISN’T Clearwire? It isn’t in the middle of the country. TMo has a huge foothold in the middle of the country. Factor in the surge of wireless bandwidth use, and it makes sense. Maybe use the WiMax for dedicated internet devices – tablets and laptops, and reserve the HSPA for handsets. no. tmobile is not taking on clear because the hspa+ is slated to be faster then clear.